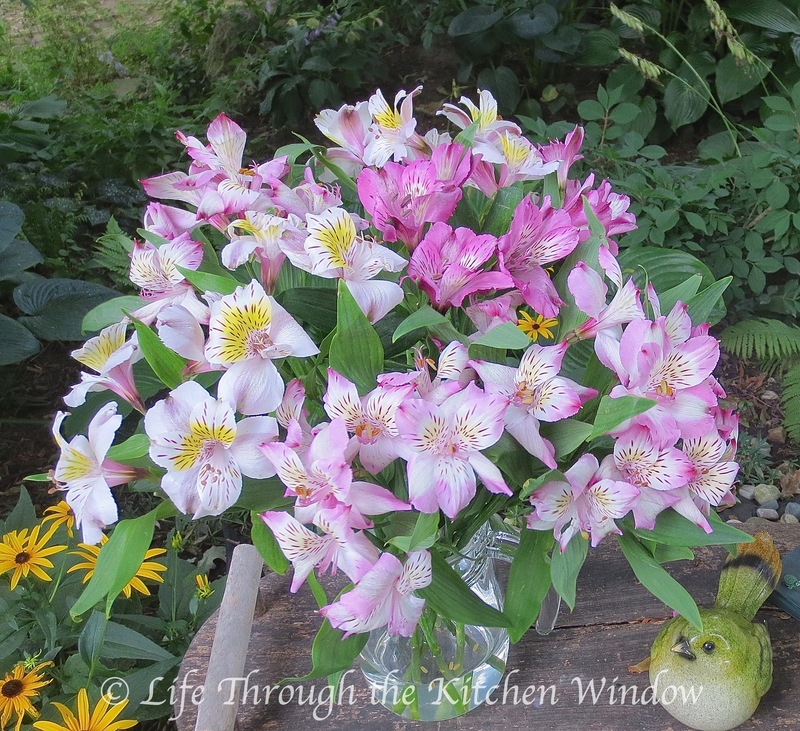 this lovely bouquet of Alstroemeria. it made the perfect hostess gift. so we could display them at the party. And, we were able to enjoy them for more than two weeks afterwards. If you’re going to bring flowers for the hostess, this is the way to do it. Select a beautiful, long-lasting bouquet that is “vase ready.” These look beautiful, Mar. I agree, John. It’s a distraction when people bring flowers that need trimming & arranging right at the start of a party. Still a lovely gesture, but the hosts don’t need extra work then! Something that requires no fuss is always appreciated. I’ve just popped over from Smidge’s blog, and wanted to say hi. And what a lovely gift – flowers are always a joy! Welcome, Claire! Isn’t Smidge’s blog a delight? I’m honoured you were able to tear yourself away from there for a visit!